1. 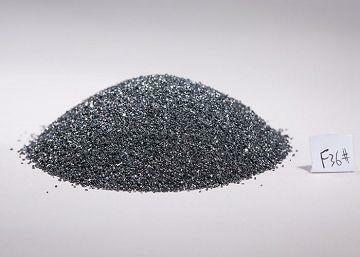 Yannuo Black Silicon Carbide is used in coated abrasives, bonded abrasives, refractory, casting, sandblasting etc. 2. Yannuo Black Silicon Carbide is characteristic with Stable Chemical. Black Silicon Carbide is also called black carborundum. This material is obtained from the synthesis of high purity quartz sand and petroleum coke as basic raw materials under high temperature in an electric resistance furnace. Compared with green silicon carbide, the purity, hardness, and brittleness of black SiC are lower. It contains 85-98% of SiC and the admixtures of Fe2O3, Al2O3, CaO, SiO2, MnO2. It is characterized by great hardness (9,2 in Mohs scale) and microhardness (circa 2940- 3320 KG/mm2). Besides, it has a good thermal conductivity, low thermal expansion (decreasing with temperature growth) and high strength ensure black sic widely used. It is hardness and sharpness makes it a very aggressive material for application in which high purity is requested. Sic is widely used in grinding wheels, lapping materials, and refractory raw materials. • For making coated and bonded abrasives applications. • Used in advanced refractory materials, functional ceramic sand metallurgical materials. • For grinding, lapping, precision casting, etc.